Your liver helps your body digest food, store energy, and remove poisons. 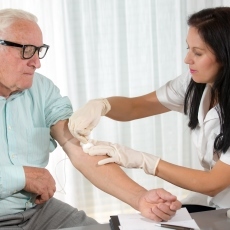 Liver function tests are blood tests that check to see how well your liver is working. They check for liver damage, and can help diagnose liver diseases such as hepatitis and cirrhosis. You may have liver function tests as part of a regular checkup. Or you may have them if you have symptoms of liver disease. Doctors also use the tests to monitor some liver diseases, treatments, and possible side effects of medicines. Bilirubin, a yellow substance that is part of bile. It is formed when your red blood cells break down. Too much bilirubin in the blood can cause jaundice. There is also a urine test for bilirubin. Prothrombin time, which measures how long it takes for your blood to clot. Prothrombin is made by the liver. Article: Assessment of cholestasis in drug-induced liver injury by different methods.